Diamond brings to you,kitchen sinks and wash basins originally manufactured by blanco, in theri-state-of the -art manufacturing set-up in germany. Famous for its top-class technology and qulity, blanco sinks create a statement for its excellent functioning and designs. Sinks rims are specially designed to allow easy positioning and installation of the faucet, without sink interference, for a sleek, contemporary look. 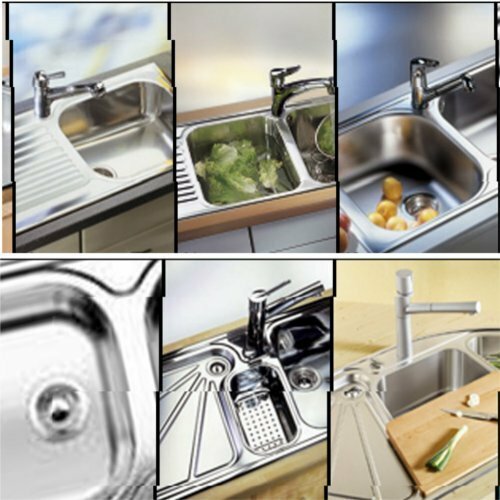 Blanco stainless steel sinks and basins boast of enduring appearance and durability. We are a sole proprietorship firm working as a trader & supplier of Tiles & Fiitings. These products are acclaimed for longer service life, easy usage and dimensional accuracy.